HBR Case Study: Time for a Unified Campaign? 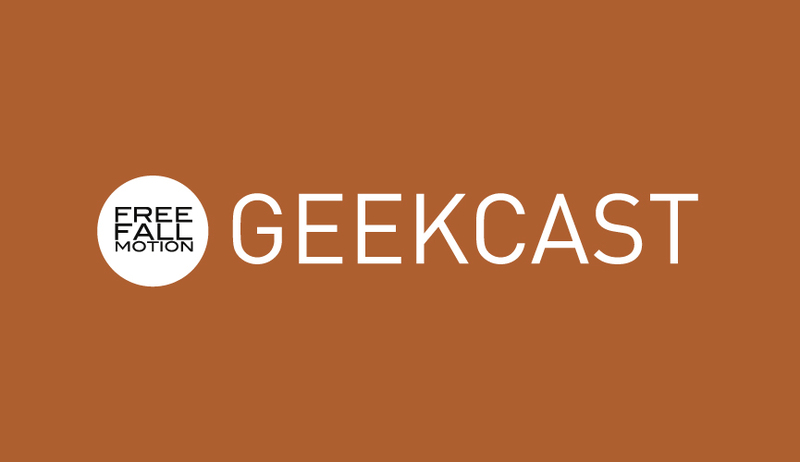 - GeekCast en Español..
HBR Case Study: Time for a Unified Campaign? The issue for small brands of any kind is always related to their hability to play a game were most companies play by its big name, most of those brands spend millions in marketing to get in touch with their costumers but as for small size business the struggle to get profitable is always something that is not a nice ride. Mexico has a wide experience for tourism and some local entrepreneurs find their place here, side by side with big brands and its massive budgets. This case, that we found on the Harvard Bussines Review shows that even at the bottom side, there is always a way to get in the right direction, sometimes you just need some advice and creativity, and be really prepared to take any chances that cames after you. HBR’s fictionalized case studies present dilemmas faced by leaders in real companies and offer solutions from experts. This one is based on the HBS Case Study “Barceló Hotels and Resorts” (case no. 511108), by John T. Gourville and Marco Bertini. It is available at hbr.org. Fernando’s eyes moved quickly from the marble floors to the skylights, the mahogany reception desk, and the glass doors framing the infinity pool and the ocean beyond. In one corner of the lobby, two women sat under a potted palm, sipping sangria while children played at their feet. In another, a concierge watched a scuba-diving video with a man and his teenage son. The hotel looked fabulous—five-star, just as they’d intended. “Have the bookings picked up?” Fernando asked. She led him down a long corridor to a door marked “Hotel Manager.” Beyond it was a small room with a partial view of the elaborate garden. Beatriz picked up some papers from her desk—a memorandum on Palma Cay letterhead clipped to several Excel spreadsheets. “What sort of help?” he said. Beatriz clearly believed she could fix the problem. Fernando trusted her intuition and thought that her plan had merit. Since 2001, when she’d arrived at the company, she’d turned around two hotels. The first was an aging beach property that had struggled during the winter months. Beatriz had noticed how many amateur and professional athletes were doing off-season training in the area and decided to court them by investing what money she had in a state-of-the-art fitness center. Now the hotel was nearly always fully booked. The second was a city hotel that she’d transformed from fusty to hip simply by hiring an inexpensive decorator to make it over, opening a new restaurant that attracted a night and weekend crowd, and targeting youth-friendly travel operators. But Fernando couldn’t help thinking that the slow start at Palma Cay was symptomatic of a much broader problem—one that would require a bigger solution. Alegre was the third-largest hotel group in Latin America, with 206 popular, high-end properties in cities and resort towns from the Caribbean to Argentina. Yet few travelers thought of their hotel as an “Alegre hotel,” as they might think of a Marriott or a Four Seasons, because the company had always preferred to emphasize the distinct personalities of its properties, each of which was tailored to its locale. Operations were highly decentralized: Each hotel retained its own identity, managed its own business with full profit-and-loss responsibility, ran its own incentive programs, and handled its relationships with key intermediaries. The benefit was diversity (if the family-friendly beach properties weren’t performing, the boutique urban hotels or inland golf retreats could pick up the slack) and flexibility (local staffs could tweak operations to suit their circumstances). The downside was that guests might return again and again to one hotel yet be completely unaware of the larger Alegre family. The company had no way to stimulate demand across its portfolio; it didn’t even have a loyalty rewards program, which was now standard practice in the industry. In a year when forecasters were predicting a decline of 20% to 30% in hotel occupancy, that was a big competitive disadvantage. Since he’d been recruited to the company, in 2008, Fernando had thought about changing this. Now, given the dire situation at Palma Cay, he might have the ammunition to do it. The executive committee would probably agree to invest in a local price promotion to boost the hotel’s fortunes. But should the company instead spend that money on a broader, more daring initiative? Should it take this as an opportunity to launch its first-ever portfolio-wide campaign directed at consumers—a branded price promotion paid for with corporate resources and contributions from all the individual hotels? The ringtone of his BlackBerry interrupted his train of thought. It was Hans Edelman, a Dutchman who managed Alegre’s most profitable hotel, in Buenos Aires. “Hello, Hans,” he said. Hans had worked for 12 years with Beatriz’s current deputy, mentoring him up through the ranks at Alegre, and the two men were still close. Fernando assumed that was how the information had traveled so quickly. “Yes,” he said. This time the source must have been Ana Montoya, the company’s chief marketing officer. Fernando had briefly floated the idea past her the previous week, just before she went to Buenos Aires. “Again, yes,” he said. Fernando was annoyed—not with Hans (his reaction was to be expected) but with Ana, for mentioning the possibility of a corporate promotion before the idea was fully formed. He was about to call her when he heard the boarding announcement for his flight. By the time he was settled in his seat, he had calmed down. He would wait to talk to her in person. “I agree that it would be difficult,” Fernando said. “But it may be worth the risk. We could sort out the logistics on price; I think we would want to include every hotel and focus on early booking. And the message could be something around luxury, or personalization, or… ” He trailed off, thinking about all the taglines he’d dreamed up over the past few months and then discarded as too narrow, or too bland, or too predictable. Staying close to each property’s customers has obvious advantages. But a corporate brand is needed as well. Best Western’s present tagline is “The World’s Largest Hotel Family.” It wants to be known not as a chain but as a collection of independent properties with similar values and standards. That model could be emulated. Alegre has a wide range of resorts and an equally diverse customer base, with different needs, tastes, and budgets. Find a promotional campaign that shows global presence but preserves the strategy of niche identity and pricing. Increase marketing by location. Work with travel agencies to push the unique experience. Don’t treat the client like he’s part of a herd. An overarching campaign wouldn’t adequately stimulate demand across Alegre’s range of customers, so Fernando should continue to let individual hotels drive promotional decisions. That said, a corporate branding strategy would allow the company to share insights across properties and develop targeted cross-selling messages, while guests accumulated points in a loyalty-rewards program. Denise Lee Yohn, branding consultant, Denise Lee Yohn, Inc.
Alegre should build a brand around “wholesome vacations” to suit all needs—young or old, luxurious or budget-friendly, adventure or leisure—and create a loyalty program and a corporate web portal. This campaign would be centrally controlled, with every hotel manager contributing a pitch for his or her property; Fernando could develop a single image for the consumer to see. Which promotional strategy should Fernando pursue? Raúl González is the CEO of Barceló Hotels & Resorts for Europe, the Middle East, and Africa. It’s understandable that Fernando desires a companywide campaign, but as he says, Alegre may not be ready. He should begin by allowing Beatriz to build a campaign for Palma Cay, which could then be used by other Alegre hotels in the same class. He could grant her request for funding on the condition that he work closely with her to develop a promotion and messaging that are relevant to other Alegre properties. Of course, Fernando will face resistance from hotel managers who believe that Beatriz is getting special treatment in Alegre’s otherwise decentralized structure. He needs to make it clear that this is not a precedent for bailing out hotels when their bookings are low. Rather, it is an investment in the brand: Palma Cay’s campaign would benefit the entire portfolio. Similar appeals from other hotels should be considered case by case and approved only if they would provide broader benefits for the Alegre brand. Fernando needs to make it clear that Palma Cay’s campaign would benefit the entire portfolio. In building the campaign, Fernando and Beatriz need to address two underlying issues: how to alleviate the pressure on inventory management caused by last-minute reservations and how to break Alegre’s dependence on intermediaries. These are common problems for hotel groups across Europe, including Barceló Hotels & Resorts. To tackle the former, I would recommend that Alegre follow the airline industry model: Incentivize customers to book earlier by offering lower prices in return for advance purchase and prepayment, with fees for cancellations. We’ve tried this at several of our hotels with great success. Dependence on intermediaries must be handled more delicately, because Alegre needs to maintain the strong relationships with tour operators, travel agencies, and online portals that have long generated the bulk of its bookings. But Fernando must figure out how to communicate directly with customers and take control of his brand. A campaign at Palma Cay would give him an opportunity to begin positioning Alegre with a target market while increasing bookings at its flagship. Many people in the company feared that no one-size-fits-all campaign could possibly meet the needs and individual personality of every property, so we chose a tagline for a regional communications campaign that highlights the diversity of our offerings: “More than you can imagine.” The tagline was used on the corporate website and in brochures, directories, and a promotional video. Fernando could take this approach and use Palma Cay as a starting point to refine and even test Alegre’s message before pushing a companywide campaign. Kevin Lane Keller is the E.B. Osborn Professor of Marketing at Dartmouth’s Tuck School of Business. Fernando should follow his instincts and creatively leverage the Alegre brand to benefit the entire portfolio. This collection of hotels needs to be greater than the sum of its parts. He should find ways to help consumers make appropriate connections between the hotels and increase the likelihood that they’ll visit other Alegre properties. However, it will be difficult to implement any companywide campaign if it’s unclear what Alegre stands for as a brand. What is it that makes each property an Alegre hotel? Are all the hotels of the same quality? Do they offer the same experience? What is the thread that holds them together? Fernando’s starting point should be an understanding of what it means from the customer’s perspective to stay at an Alegre hotel. With a corporate endorsement, Alegre could more effectively cross-sell the hotels in its portfolio. For example, a loyalty program that gives customers the opportunity to earn travel rewards at any Alegre property might well increase reservations across the board. Fernando should then devise a promotional campaign that individual hotels could adapt. It should not be heavy-handed. In fact, he should be careful to preserve the autonomy of the hotel managers while giving them the tools they need to effectively market their properties. If they were armed with a broader promotional message about the benefits of the Alegre brand, they could focus on explaining to consumers as well as travel agents and tour operators how their particular hotels deliver those benefits. The sort of bottom-up branding approach that Beatriz advocates is rarely successful. Saying no to Beatriz’s request might be difficult for Fernando, especially if it meant accepting low bookings for the flagship in its first winter. But the sort of bottom-up branding approach that Beatriz advocates is rarely successful. Fernando could end up spending a lot of corporate money feeding individual budgets and miss the opportunity to build the reputation of Alegre’s entire portfolio. He will get much greater bang for his buck if he smartly invests in the corporate brand.